We have been using torrent on our laptops , PC to download movies ,songs, software's and a whole lot of things since time immemorial isn't it?? Now in the age of tablets, smart phones and all the other handheld portable devices still downloading your files on PC and laptops isn't it too boring?? We download almost everything we need from torrent so today I am going to show you one of the simplest and easiest way to Download Torrent on Smartphones. 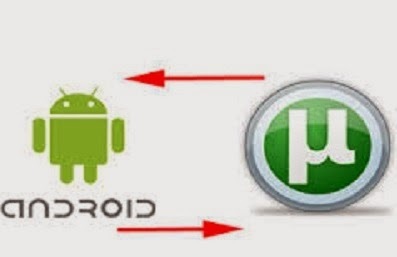 Firstly to Download Torrent on Smartphones we need to open the Android app market and search for torrent downloading applications.We might come across many applications like Bit Torrent(beta), aTorrent, tTorrent and aDownloader.aDownloader is a native bit torrent (bittorrent) downloader for Android phones. aDownloader is also a HTTP downloader with break-and-resume feature: In the Android browser, long press the link you want to download, select "Share link", and select aDownloader to download. Then open the app on our mobile and the first thing we ought to do is set a download path or where we want to save the files we download.We can do this by going to the setting icon on the top left corner and selecting the location. Example (/mnt/sdcard/torrent download). Then through the browser we go through a torrent link downloading site like and enter the file we need to download by entering the name in the search field and download the link. Then we open the downloaded link and choose to open with aDownloader app when asked. Then choose the preferred options within the app and start downloading. The current version available on app market for aDownloader is 1.0.9.2; it requires space of 1.9M and works on android devices of version 1.6 and above. Although adownloader is the simplest one to use but the most popular or used among them is bit torrent so to download a file using the bit torrent app following way can be used. So first we have to download the app from the android app market. After that one needs to use the browser avaliabe on ones gadget to download the required link. The link can be downloaded same as that for a downloader by going to sites such as then we need to enter the file name in the search field which we need to download and save that link. While choosing the link we should check across the comments and factors like number of seeders available and the weather is being verified file or not. Then we can use the downloaded link by clicking on it and choosing the bit torrent app. Then our download will start and depending on the size of the file we are downloading, number of seeders, and the speed of the net from your net provider the time taken to download the file will depend on and it may take from a couple of hours to days for downloading to complete. Its current version available on app market is 1.19, it requires a space of 7.4M on our device and it works on Android devices of version 2.1 and above. We should be careful while downloading the torrent links as they may be misleading and may even contain malware content. So we should only download links which are verified by torrent and seems to be free of any kind of malware. Downloading a torrent file on your device may consume a large space any will have a drastic effect on your device’s battery. Also one should keep in mind that’s its always better to download a file thorough torrent using wifi connection rather than using 2G or 3G services. there is native app from torrent itself but this is also cool to !